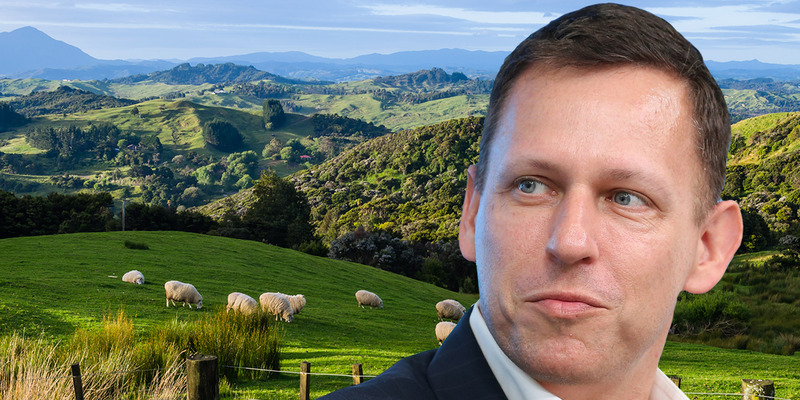 Shutterstock and Neilson Barnard/GettySilicon Valley billionaire Peter Thiel has bought property in New Zealand. New Zealand’s government has banned foreigners from purchasing existing homes in the country. The Overseas Investment Amendment was passed by parliament on Wednesday and is designed to make housing more affordable for nationals. “This government believes that New Zealanders should not be outbid by wealthier foreign buyers,” the associate finance minister, David Parker, said in a statement. The New Zealand government has passed a ban on foreigners buying existing homes in the country in a bid to tackle soaring house prices and rising homelessness, Al Jazeera and The Guardian reported. The Overseas Investment Amendment bill was passed by parliament on Wednesday and is designed to make housing more affordable for New Zealanders, particularly first time buyers. It follows a surge in the number of overseas buyers coming to New Zealand to buy property in recent years. Half of New Zealanders owned a home in 1991, a number which has since dropped to one quarter. The Economist released a report in 2017 that said New Zealand house prices were the most unaffordable in the world and prices in Auckland rose by 75% over the last 4 years alone, The Guardian reported. The majority of foreign buyers come from China and Australia, but many also come from the US and UK. All nationalities are subject to the bill except buyers from Singapore and Australia. New Zealand has become known as a get-away for the super-rich who see it as an escape from crowds, social unrest, and as a safe refuge in the event of nuclear war. Buying a house in New Zealand has become a sort of code for getting “apocalypse insurance,” Reid Hoffman, co-founder of LinkedIn, told the New Yorker in 2017. Silicon Valley billionaire Peter Thiel is perhaps the most famous expat to buy property in New Zealand. Thiel managed to become a New Zealand citizen and purchase his property despite having spent only eight days in the country. Although the ban applies to existing homes, foreign buyers can still purchase property in new block housing developments.